It was difficult to respond to these two emails. What do you say to someone who sounds so desperate and helpless? Is information enough? In both these cases however, information is the ONLY answer. When fear and panic set in because of the unknown, every physical symptom becomes magnified. If only they read Lick The Sugar Habit by Dr. Nancy Appleton, Sugar Shock by Connie Bennett, Hypoglycemia: The Other Sugar Disease by Anita Flegg, or Hypoglycemia for Dummies by Cheryl Chow and Dr. James Chow. Each of these books would have answered all the above questions! Type 2 diabetes, like obesity, is at epidemic proportions in the United States and throughout the world. Twenty-five million Americans have diabetes, with 800,000 new cases each year. Is it any wonder why this disease is the seventh leading cause of death? Diabetes increases the risk of heart disease, gangrene and limb amputation, kidney failure, and blindness. A leading killer, it also decreases your life expectancy. The saddest part is that 50 percent of those affected may not be aware that they have this deadly disease. Hypoglycemia (low blood sugar), an important sign that you may be at risk for type 2 diabetes, is typically ignored and treated symptomatically. There may be an article here, a book there, but seldom do you see informative statistics. Too bad, for maybe if we had better numbers, more Americans would stand up and take notice of blood sugar issues. One book I read estimates that 100 million Americans are experiencing hypoglycemia. Unfortunately, there are few formalized studies on hypoglycemia as a stand-alone condition. Therefore, it is very difficult to substantiate these numbers. Often, the only research to be found on hypoglycemia is within the context of studies on related medical conditions. Because of this, however, we may never know how many Americans are suffering, needlessly, from hypoglycemia. We need to study and document that there is a connection between low blood sugar (hypoglycemia) and high blood sugar (diabetes) – the blood sugar roller coaster described in our infographic. Or do we just need to read more of the e-mails that the HSF receives? No letter, e-mail or explanation can be as profound as the simple black-and-white facts. So in 1998, I added a hypoglycemia/diabetes questionnaire to our website. Due to the increase of questions and concerns about a possible connection between hypoglycemia and diabetes, I wanted to find out if this association could be observed. The goal was to determine whether untreated hypoglycemia is a precursor to diabetes. The survey was also designed to gather information on how and by whom hypoglycemia had been diagnosed and what type of treatments, if any, were found to be beneficial. The HSF received over 5500 responses (3752 respondents with hypoglycemia) from 25 countries. When diagnosed with hypoglycemia, only 59% changed their diet. That number is high considering that only 48% of physicians who diagnosed hypoglycemia through a glucose tolerance test recommended treatment. A little more than 50% of the participants incorporated vitamins and exercise, while only 25% changed their mental attitude towards the illness. Unfortunately, 23% considered candy the cure-all for their low blood sugar problems. Check out the current questionnaire on our website, https://hypoglycemia.org/questionnaire. It will give you an idea of what we are looking for and how this information will help future treatment of these conditions. This questionnaire isn’t the answer of course, as it cannot take the place of well-structured medical research. However, it is actually giving us the answers we need to encourage more scientific research into this condition that is so often not taken seriously. In the meantime, we are working on publishing Dr. Linda Peterson’s work, which was ignored by the medical profession when presented in 1978. Do you know of significant research on hypoglycemia? If so, please let us know. We are gathering all that we know and will be listing studies about hypoglycemia on this site. Before the future, let’s look one more time at the present. Diagnosing and managing hypoglycemia is one of the key determining factors in the subsequent development of adult onset type 2 diabetes in later life. Diet, lifestyle, age, predisposition, and insulin and tissue resistance are all variables that need to be addressed concerning this issue. To date, there is nothing we are able to do to counteract the effects of either aging or genetic predisposition. The remaining elements, however, can be managed. 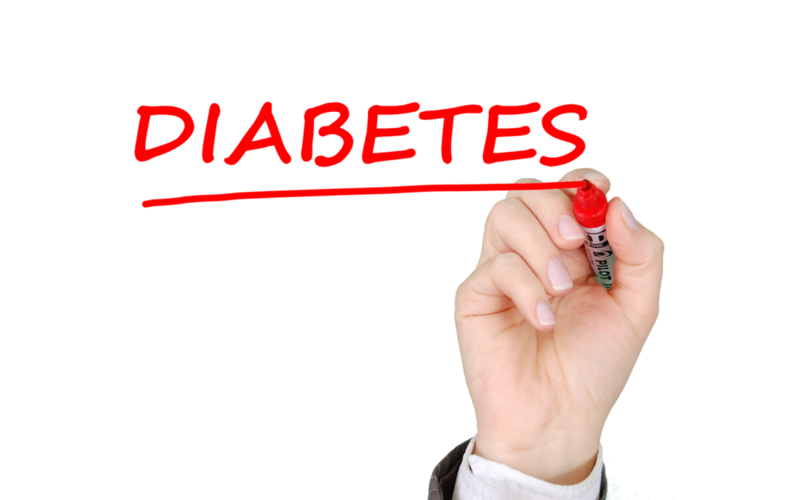 If one is successful, there is a good chance that Type 2 diabetes can be prevented or delayed.